Tri-radial using Dimension Polyant’s X-tech aramid range of fabrics. 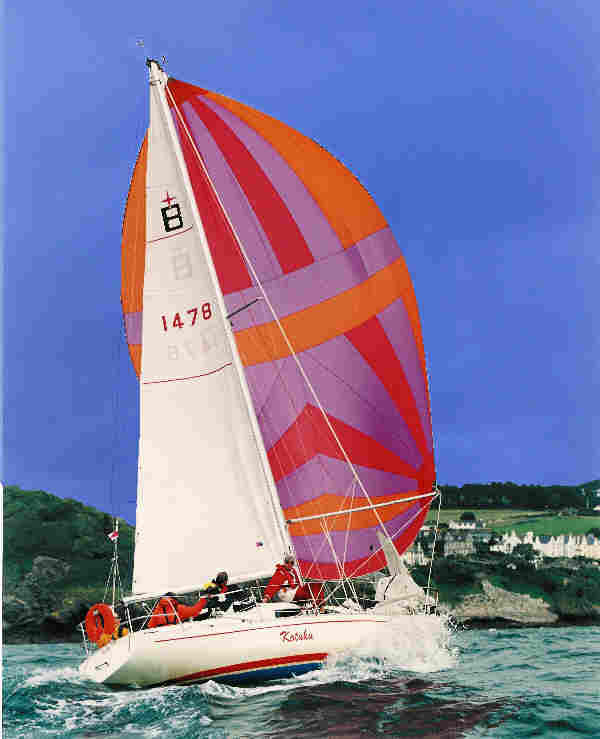 Includes Launch zip bag, tell tails, elastic return leach line tail, spectra leach line, webbed stainless rings, hanked of bolt luff, steering window 1/3 up luff, numbers and fan patches. Tri-radial using Dimension Polyant’s PE range of fabrics. 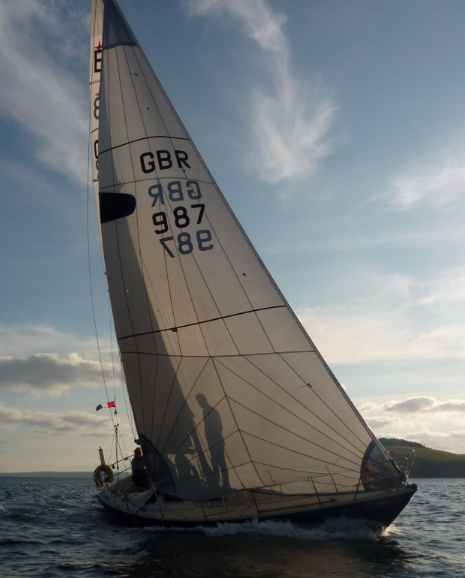 Includes Launch zip bag, tell tails, elastic return leach line tail, spectra leach line, webbed stainless rings, hanked of bolt luff, steering window 1/3 up luff, numbers and fan patches. Tri-radial cut using Contenders Nylite 0.90oz fabric. Full symmetric deep head section and max foot roach. Includes, launch bag, webbed rings, numbers, fan patches and polyester tapes. 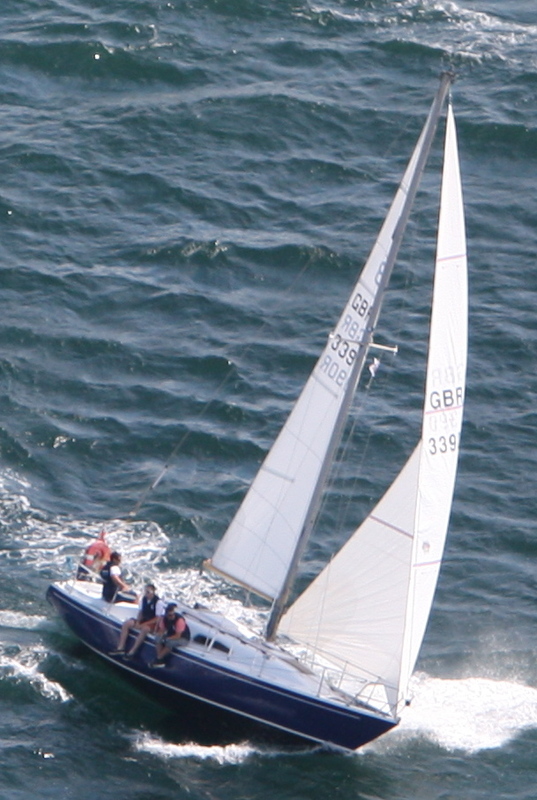 Above: Capella which regularly races out of Fowey, has a suit of Shape sails using a Diax tri-radial cloth for its Genoa and Dimension Polyants MTO polyester. Above: Capella sailing down wind with a new tri-radial spinnaker using Contenders Nylite .75oz cloth. 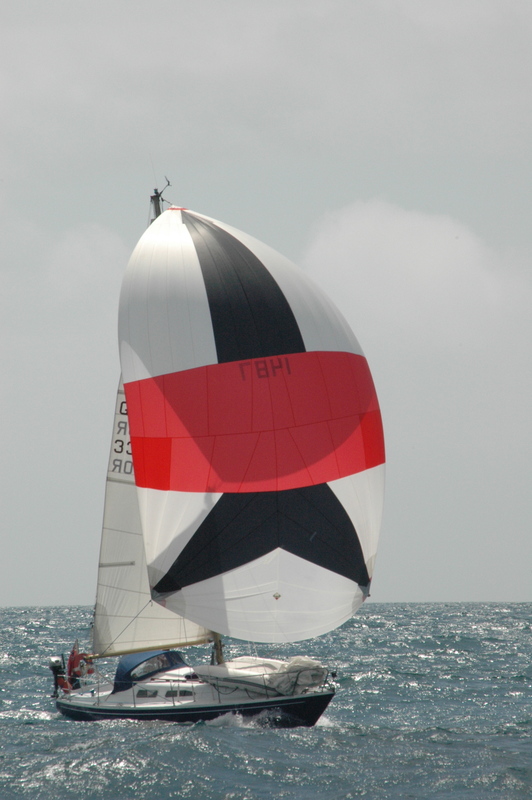 Sail Shape designed and fitted the company logo. 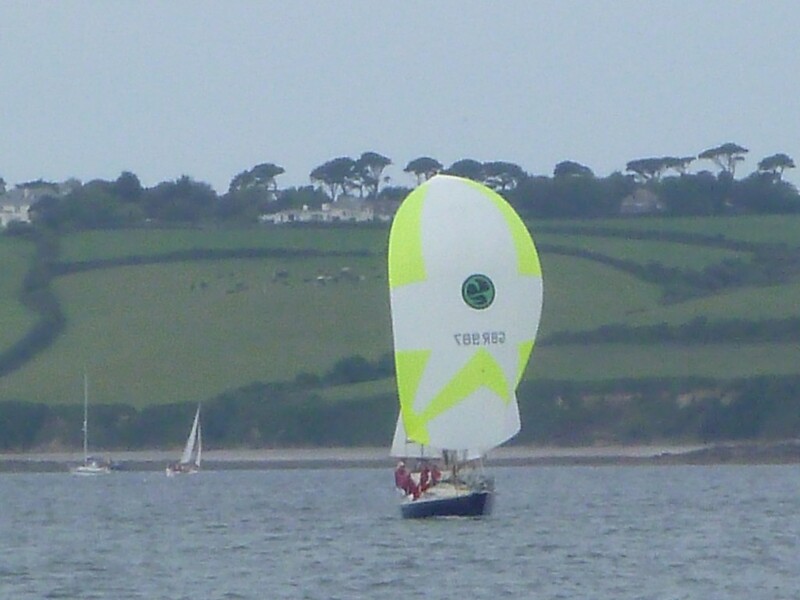 Above: Kotuku sailing into fowey using a Tri-raidal spinnaker built with Contenders Superkote.